MATHEWS, DAVID, office-holder; b. in New York City, son of Vincent Mathews and his second wife Catalina Abeel; m. Sarah Seymour, and they had at least two sons and two daughters; d. July 1800 at Amelia Point, Cape Breton Island. 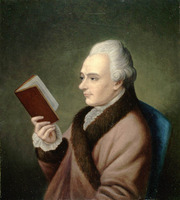 David Mathews received his am from the College of New Jersey (Princeton University) in 1754. After holding some minor offices in the administration of New York City, he was appointed mayor in February 1776. Soon afterwards, he was accused of “treasonable practices against the States of America” in connection with his alleged involvement in the “Hickey Plot” to assassinate George Washington and was jailed in Litchfield, Connecticut. He escaped, however, and returned to New York; in 1779 his property, which included 26,000 acres and two houses, was confiscated by the New York Congress. Mathews continued as mayor of New York until shortly before the evacuation of the city by British troops in November 1783. Following his departure from New York, Mathews travelled, like many other loyalists, to Nova Scotia, where he applied unsuccessfully for the position of attorney general; it is not known whether he had ever received any formal legal training. In 1785 he was persuaded by Abraham Cuyler*, a former mayor of Albany and now registrar of the new colony of Cape Breton, to move to Sydney, its capital. In July he was appointed attorney general and a member of the Executive Council by Lieutenant Governor Joseph Frederick Wallet DesBarres*. Although a provision had been made for a house of assembly in Cape Breton, none was established. As a result, the Council became the scene for debate over local issues; such debates frequently divided the Council into factions, thereby impairing effective government. The first such split occurred in December 1785 when Des-Barres failed to consult the Council about the distribution of supplies to the inhabitants. The self-important Mathews, who had already begun to chafe under DesBarres’s strict control of the Council, promptly resigned in protest. When DesBarres then attempted to seize military supplies in order to feed the settlers, Colonel John Yorke of the 33rd Foot objected and soon afterwards joined a faction, led by Mathews and supported by Cuyler and other Council members, which worked for DesBarres’s removal. The group sent a petition protesting DesBarres’s conduct to Governor John Parr of Nova Scotia, DesBarres’s immediate superior. Parr forwarded the petition to the British government, and Des-Barres was recalled in November 1786 as a result of this and other complaints. 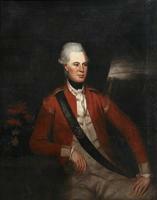 On the arrival of Lieutenant Governor William Macarmick* in 1787 Mathews rejoined the Council. He soon managed to have his main opponent, Richard Gibbons, the chief justice, removed from office, and later became Macarmick’s principal confidant in the colony. After some time, however, the lieutenant governor objected to what he considered were Mathews’ efforts to dominate him. The controversy reached a head in 1794 when Mathews formed an organization for the ostensible purpose of resisting “the rise and progress of sentiment and opinions subversive to our happy Establishment in Church and State” and preventing an influx of refugees from Saint-Pierre and Miquelon, who were fleeing an outbreak of revolutionary activity there. Macarmick claimed, however, that the association included “all the principle people, [so] that I might be obliged to fill vacancies out of this society.” By persuading the Council’s anti-Mathews faction, led by the Reverend Ranna Cossit*, to submit a petition which claimed that the organization would “subvert the good order of Society,” Macarmick was able to ban Mathews’ association in July. Mathews’ followers threatened to riot, and only a stern reprimand to all concerned from the Duke of Portland, secretary of state for the Home Department, prevented the calamity. Macarmick left Cape Breton in 1795 and Mathews, as senior councillor, became administrator of the colony. He soon used the office for personal aggrandizement, appointing his sons David and William Tryon acting attorney general and provost-marshal respectively, and naming to the Council Richard Stout*, Sydney’s principal merchant, to whom he was deeply in debt. Mathews was also able to attack his opponents on the Council. He denied Cossit’s right to appoint a schoolteacher and imprisoned the minister on debt charges, removed William McKinnon* from his position as secretary and registrar of the colony, and dismissed Chief Justice Ingram Ball*, replacing him with his crony Archibald Charles Dodd*. Both Ball and McKinnon were also eventually jailed on charges of debt. At the end of June 1798 Major-General James Ogilvie* arrived in Sydney to replace Mathews as administrator. In the year he served Ogilvie conducted an investigation into Mathews’ conduct, but he left without being able to prove Mathews guilty of any wrongdoing. The next administrator, General John Murray*, who arrived in June 1799 attempted to repair the divisions in the Council, but Mathews refused to be reconciled with his opponents. Moreover, he and Murray clashed over the appointment of a schoolteacher. After this and other quarrels Murray dismissed Mathews as attorney general in January 1800. Mathews promptly made an alliance with Edward Augustus*, Duke of Kent, who harboured a personal grudge against Murray, and Murray was replaced by Major-General John Despard* in June. Mathews did not live to enjoy his victory long, however, for he died at his home near Sydney the following month. Although he was doubtless an ambitious and quarrelsome man, David Mathews’ career illustrates the loyalists’ difficulties in adjusting to the political restrictions of the postwar British empire, particularly in a colony without a house of assembly. Halifax County Court of Probate (Halifax), M60 (original will of David Mathews). PAC, MG 11, [CO 217], Cape Breton A, 3, pp.105–10; 12, pp.52–53, 55, 89, 276–77; Nova Scotia A, 108, pp.240–42; [CO 220], Cape Breton B, 1, pp.118–21. PRO, CO217/112, ff.2–4, 143–44, 176, 284–85; 217/113, ff.152–53, 275; 217/115, ff.1–2, 51, 106–8, 120–21, 148; 217/117, ff.21, 76, 143–48, 157, 195–96, 198–99, 291–92; 217/118, ff.19–20, 23. Sabine, Biographical sketches of loyalists, II, 51–52. G. N. D. Evans, Uncommon obdurate: the several public careers of J. F. W. DesBarres (Toronto and Salem, Mass., 1969). A. C. Flick, Loyalism in New York during the American revolution (New York, 1901), 146–47. Lena Johnston, Memories (Sydney Mines, N.S., 1931). R. J. Morgan, “Orphan outpost: Cape Breton colony, 1784–1820” (unpublished phd thesis, University of Ottawa, 1972), 42–50, 102–15; “Joseph Frederick Wallet DesBarres and the founding of Cape Breton colony,” Revue de l’université d’Ottawa, XXXIX (1969), 212–27. R. J. Morgan, “MATHEWS, DAVID,” in Dictionary of Canadian Biography, vol. 4, University of Toronto/Université Laval, 2003–, accessed April 24, 2019, http://www.biographi.ca/en/bio/mathews_david_4E.html.